We saw Looper in theaters last week. "In 2074, when the mob wants to get rid of someone, the target is sent 30 years into the past, where a hired gun awaits. 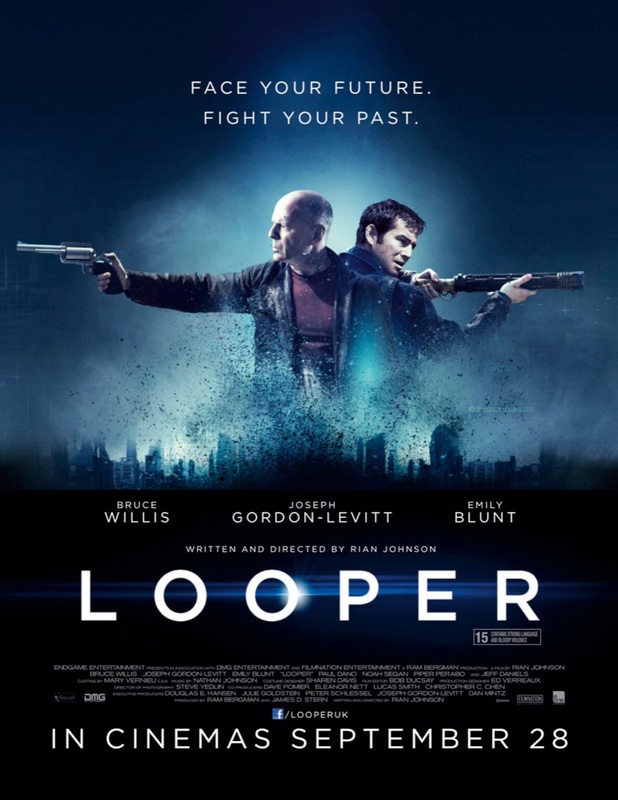 Someone like Joe, who one day learns the mob wants to 'close the loop' by transporting back Joe's future self." I liked this movie a lot more than I had anticipated and it will be definately one I will buy when it comes out on DVD. There was just one scene that was a bit gory for my taste but all in all it was really good. 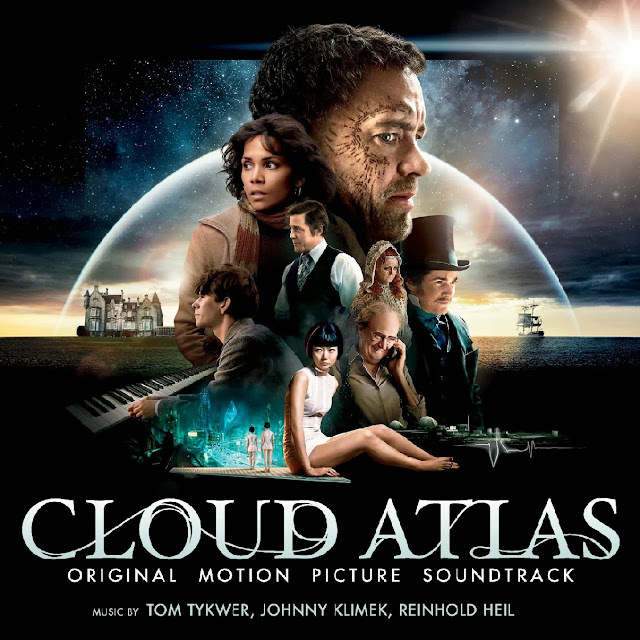 We also saw Cloud Atlas. "An exploration of how the actions of individual lives impact one another in the past, present and future, as one soul is shaped from a killer into a hero, and an act of kindness ripples across centuries to inspire a revolution." The trailer looked really good and it looked like a really beautiful unique story. Quite the cast. The movie was good, but it was easily 45-60 minutes too long. The beginning was very hard to follow and I had no idea what was going on for the first 30-45 minutes. I started getting bored, which is so rare for me. Good, but long, and all the stories don't quite tie together. We bought the book, which should come in the mail today, so hopefully it's a bit better. 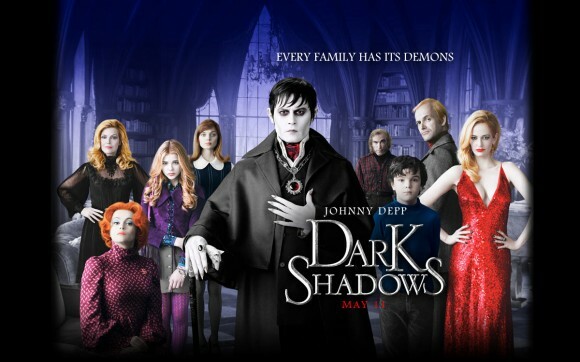 We also watched Dark Shadows. We really liked it, but I know few other people who did. So I guess you just have to be a Tim Burton and Johnny Depp fan. On a side note, Helena Bonham Carter never fails to amaze me with her acting skills. Seriously. We had seriously not heard anything good about this movie but I still had to watch it. It has Alec Baldwin, Russell Brand and Paul Giamatti, all people I'm a fan of. But of boy, was this movie terrible. I like to consider myself a fan of musicals, Moulin Rouge, Romeo and Juliet, so.... I guess just Baz Luhrmann musicals. But I found myself fast forwarding through most of the musical numbers and eventually giving up. I didn't even finish it! Yikes. Dave asked, in regards to Baldwin, "So, is this his mid-life crisis?" I guess so. "British retirees travel to India to take up residence in what they believe is a newly restored hotel. 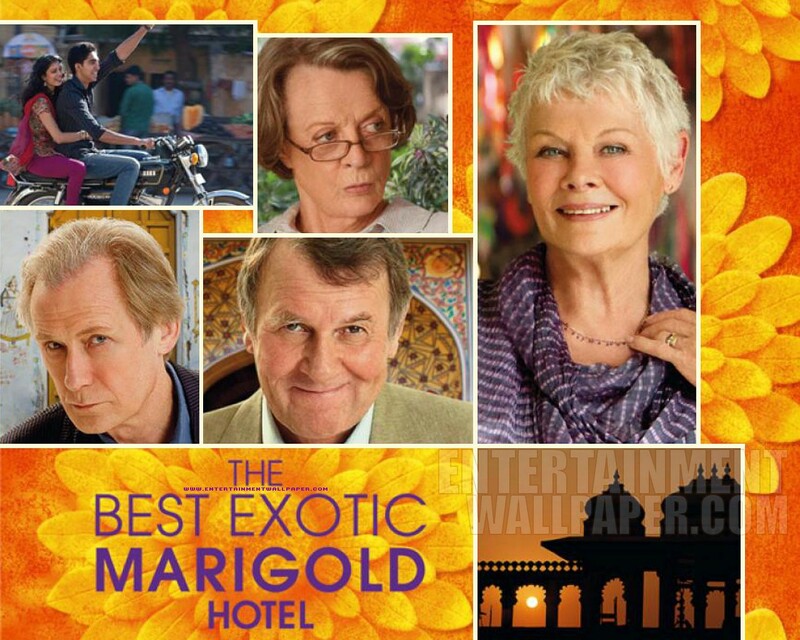 Less luxurious than its advertisements, the Marigold Hotel nevertheless slowly begins to charm in unexpected ways." Not the best movie I have ever seen, but not the worst. I am always a big fan of Bill Nighy. And it was interesting, but I won't be adding it to my movie collection. It really just made me want authentic Indian Food. Indian Palace, anyone? 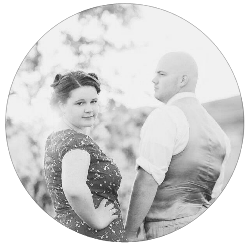 Ok, now to get back to NaNoWriMo.